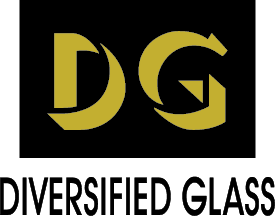 Diversified Glass has been providing superior glass service to commercial, industrial and residential customers since 1980. Founded as a family owned business and continuing in that tradition our company upholds the standards of quality materials and workmanship. We take pride in offering professional, prompt and friendly service and stand behind our work. We use only the highest quality materials from companies who are experts in their field, and are experienced at producing custom designs by expert craftsmen in our own fabrication shop. Some of our employees have been with the company for decades, reinforcing a proud heritage. Headquartered in Morganton, NC our extended service area includes the Western and Piedmont regions of NC, plus South Carolina and Georgia. Over the years some projects have been completed as far away as Kentucky and Florida. Diversified Glass can meet your needs and exceed your expectations: Whether you need storefront glass, doors, windows or restoration in a commercial setting, industrial solutions including clean room technology or a custom shower enclosure in your home - all at competitive pricing, call us!